A few days ago I was woken up suddenly. Captain America was jumping up and down on the end of my bed. Something horrible must have happened because he was about a quarter of his normal size and was calling me dad. Strange right? I don’t play dress up my kids do. 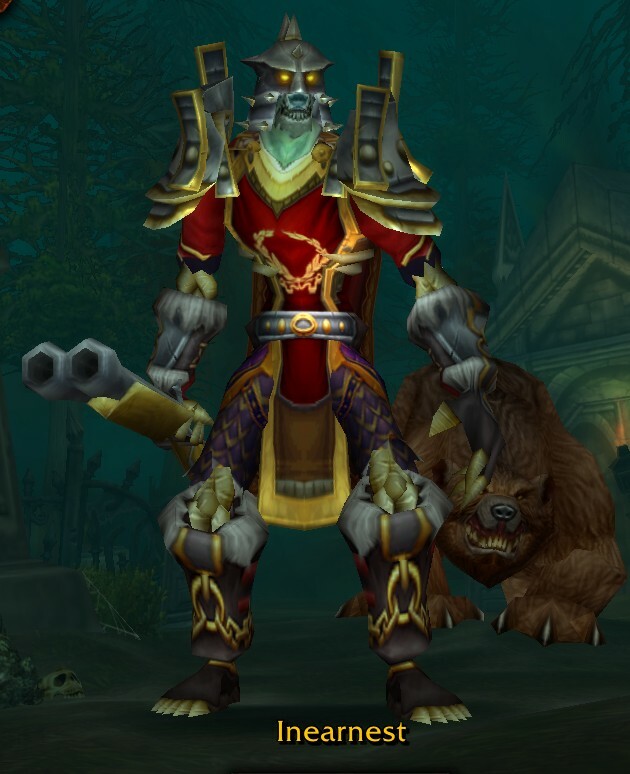 When we got transmog in December I rolled my eyes and promptly forgot about/ignored it. (that’s not totally true I did go buy the DK starting set as an experiment.) It just wasn’t something interesting to me. Recently on a whim I went into MC with a friend on my hunter. I had only seen the place once before so we went in and did some shopping at the various retailers there. Low and behold a few of them had Hunter pieces. (I know it was all hunter loot of course) If I remember right it was the gloves and shoulders. At first glance I decided they obviously hadn’t designed the Giant Stalker set with undead hunters in mind. After the reset the following week I hopped back over to the core to see what else I could find and walked out an hour later with everything else for the set but the Belt. Low and behold it looked pretty good. 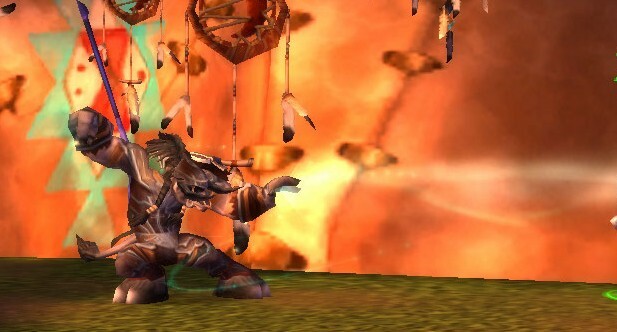 I have since been in there on my paladin,rogue, and warlock. I have even been soloing (or attempting to) Naxxramas on my Death Knight. Just for the pixels. to play internet dress up. This is ridiculous, and a lot of fun. Remember that your Ghoul wanted to be a Hero to when his heart still beat. Go do Heroic stuff with him.